Every cigar has its own character and taste. Before purchase, it is better to test its quality by lightly grasping it, but be careful to not hold it too tightly or else you’ll crack it. Once you crack it, you got to pay for it!!! Aging a cigar is very personal preferences. Some prefer fresh cigars, others will age their cigars at least two years before smoking them. 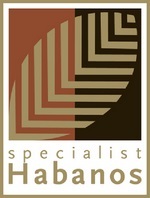 Be it 100 years or more, cigars should be kept in a controlled environment, between 20°c to 23°c with 70 percent humidity. Smoke a cigar is different from cigarette. Do not inhale any smoke and never swallow the residue of any tobacco product. Take your time and savor the taste, the aroma. One or two puffs per minute should be enough to keep it lit. Smoke too fast will develop burn taste and your cigar getting heat up. Thank you for visiting Cigars Lounge. If you cannot find what you are looking for please email or call us at + 603 6201 0338 and any of our staff will be more than happy to assist you. If you are looking for shipping information check out our about us tab at the top of the page or click here.